Rat interleukin-10 (IL-10), also known as cytokine synthesis inhibitory factor (CSIF), is a 20.4 kDa, glycosylated homodimeric cytokine with two disulfide bonds. The homodimer binds to two IL-10 Rα subunits resulting in recruitment of two IL-10 Rβ chains to initiate the IL-10-mediated signal cascades. IL-10 Rβ is also associated with receptors of IL-22, IL-26, IL-28, and IL-29. IL-10 inhibits the synthesis of numerous cytokines (including IFN-γ, IL-2, IL-3, TNF-α, TNF-β, and GM-CSF) that suppress Th1 proinflammatory responses and promote phagocytic uptake. 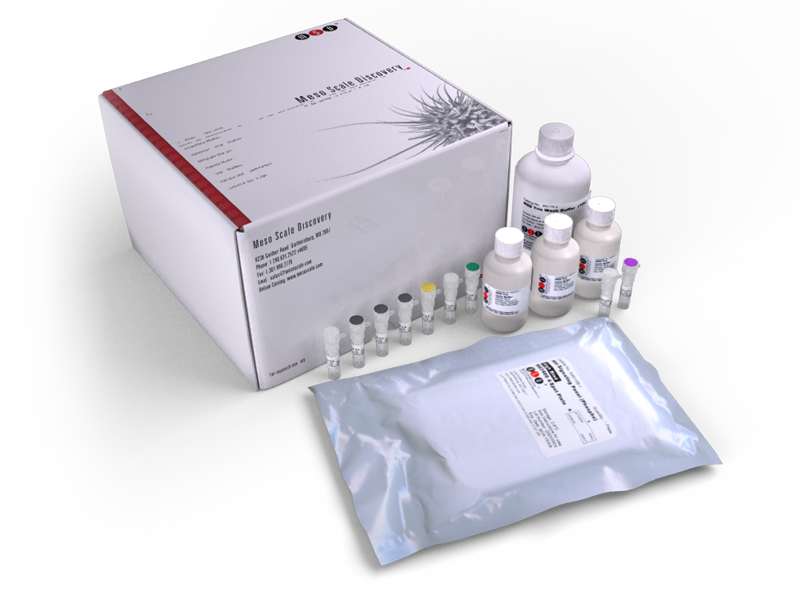 IL-10 has been shown to prevent liver necrosis during parasitic infection in mice.The Rat IL-10 Kit provides assay-specific components for the quantitative determination of endogenous IL-10 in rat urine, serum, plasma, and cell culture supernatants. For the lot specific concentration of each calibrator in the blend, refer to the certificate of analysis.